Representative Dennis Ross (R-FL) has released a draft bill that would cut housing benefits that help low income families afford to keep roofs over their heads. The bill could increase rents on millions of low income families who receive housing benefits. If enacted, this legislation would leave even more low income people—including seniors, people with disabilities, veterans, children, and other vulnerable populations—without stable homes, making it harder for them to climb the economic ladder and live with dignity and leading to increased evictions, and in worst cases, homelessness. Learn more about Representative Ross’s proposal to cut housing benefits. Representative Ross needs to hear from you! 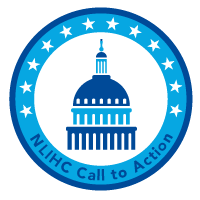 Join organizations from across the country by signing this national letter opposing to his proposal that would cut housing benefits for America’s struggling families. The deadline to sign on is June 1 at noon ET.